Come Learn and Perform Sun Salutations. 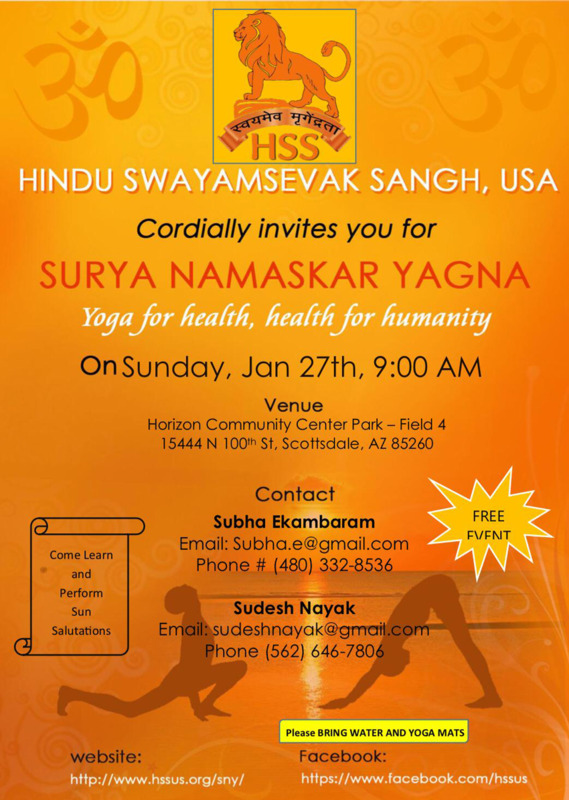 Hindu Swayamsevak Sangh USA is organising its 14th annual Surya Namaskar Yajna Yogathon on 1/27/2019 at Scottsdale's Horizon community park. It is a free event that is open to the community.The details are below.